When it comes to the visual security of your home or office in Boca Raton, Florida, installation of a CCTV (Close-Circuit Television) security camera system by the best and most affordable company is crucial. You may not know all the vantage points that should be covered on or around your property – or which type of CCTV system and monitoring service – is right for you. 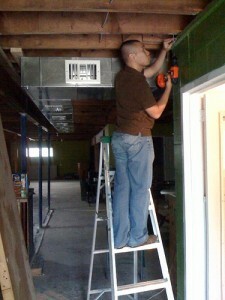 This is where the experts at TechPro Security Products come to the rescue. Your unique property has many hidden and vulnerable points that require coverage of a reliable and constantly monitored system. The professional CCTV camera installation services Boca Raton’s TechPro Security Products not only ensures that these target areas are covered, but also listen to your needs when it comes to a system that is affordable and monitored for all intrusions. Our partner, Digital Security Guard, monitors your systems 24 hours a day, seven days a week. If they are alerted to a situation, they react swiftly to investigate and even contact your local authorities to help prevent a crime on your property before it has the opportunity to occur. The remote video monitoring performed by Digital Security Guard is carried out by licensed and trained professionals. The monitoring facility is located in South Florida, so you know that your property is receiving local support. All monitoring is done in real time, keeping a keen eye on all activity going on around your property all day, every day. Deciding on which CCTV camera system is the better choice for you and your Boca Raton property requirements is less of a challenge with the help of the expertise and years of experience our professional installation company. Affordability is a key factor for many, and we understand and respect that completely. Our technicians will fully assess your property for critical entry points – even ones that may not be so obvious – and then sit with you to understand your needs and requests before suggesting a system for your home or business. We provide many types of security systems that range in price, but there is always a fit for your location, budget and safety requirements. If the aesthetic feel of the system is a concern for you, we have systems that are both functional and less obvious visually than more traditional CCTV camera systems. Ask about our high-tech systems that provide superior quality without looking too industrial. 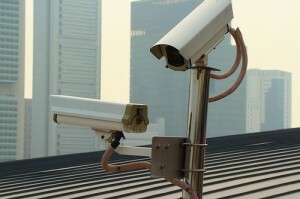 Many CCTV camera systems have come a long way, in both function and design. You no longer have to sacrifice quality for being visually pleasing and blending in with the design of the exterior of your home or commercial property. You won’t have to wait for extended periods of time for your new security system to be installed. TechPro Security Products has a warehouse locally that is stocked with all our available systems to allow for a quick installation of your new monitoring system. We pride ourselves on being one of the most professional CCTV camera installation companies Boca Raton, Florida, so we move quickly to have your home or business secured and monitored as quickly as possible. Having all the services available to you from one company is paramount to making that process go smoother and done in the shortest amount of time. You don’t have to worry about any technical issues that may arise from your home or business monitoring system. TechPro Security Products offers free technical support for all customers who purchase one of our many products for use on any property. Simply call us during normal business hours to receive prompt and courteous support for your system. We will dispatch one of our highly trained technicians to your location to address the issue, and get your system working at its best with minimal downtime. Don’t delay any longer! Contact one of the professionals at TechPro Security Products today to receive a free quote on your new CCTV camera systems for your home or office. Call us at 866-573-8878, or email us at Support@TechProSecurity.com. You may also leave us a message on our website by going to our Contact Us page at anytime of the day or night to leave your contact information and questions. One of our helpful and experienced staff members will be in touch with you promptly.